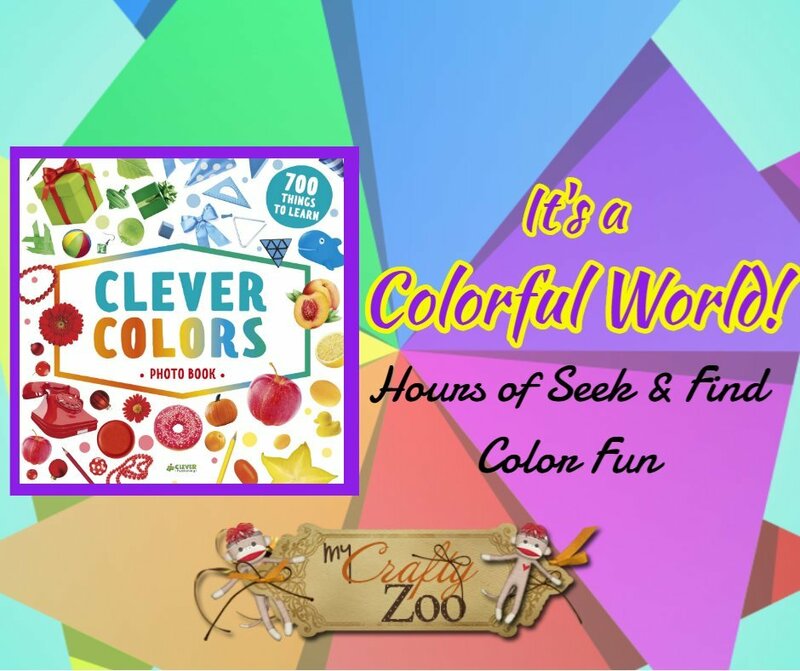 Clever Colors is a fun way to learn colors and keep busy! This super bright photo book will bring hours of fun! 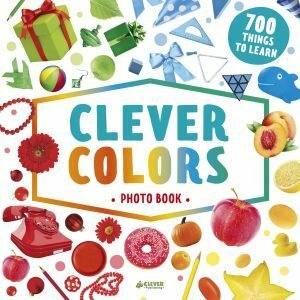 Clever colors is a photo book to help your little one learn their colors while playing a fun game of ‘I Spy.’ Discover the colors around you with this amazing seek and find color object book for children! Identify shapes and sizes with all the colors in the world around you! Children love pointing things out in their surroundings after learning new things This seek and find book is sure to find book is sure to bring hours of fun! It’s versatility allows it to be used for lessons, fun game time with parents, or even just daily color practice! It’s definitely a fun little book with bright colors in each collection! Each color has a list on the side of the page with 10 words so that the little ones can see the words and match them to the object. A great way to continue word and letter recognition! Needless to say, we loved this book! My Mommy friend is trying to swipe it for her 4 year old! Unfortunately for her, it’s going to my grandson. He needs all the help his little stubborn self can get! Smart little dude knows how to trick the grownups into not making him verbalize anything! This giant padded board book has rounded edges to help with the safety and comfort. The colors listed are: red, orange, yellow, green, and blue. As the book progresses, the pages begin mixing objects of different colors and then mixing colors. For example, what color do you get when you mix red and yellow? In the middle of 2 circles of either color is the combination so that little ones can see what color it forms! Then of course they can find objects that are the new mixed color! What fun it can be! I want to give a huge shout out and thank you to The Mommy Island and The Kids Did It for hosting this fantastic giveaway hop!Â They are always so much fun to be a part of! Just Add Color: 5 Ways to Relax With Little Time! I don’t have any stories yet, but I’m looking for all the ways I can start teaching my 17 month old! Aww! We hope you’ll come back and share when you have some! Of course, I am certain a 17 month old cutie has brought some stories already! Good luck Momma! I have two little ones at home now and I’m working on my teaching skills. They absorb so much and it’s so fun watching them grow and learn new things.